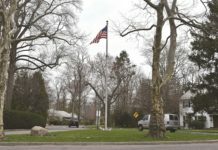 After a six-month waterfront moratorium was placed on the waterfront business zoning district on Dec. 19, 2017, followed by a four-month extension on June 5, the Town of North Hempstead presented its findings during the moratorium and their ideas for the zoning code at the Port Washington Public Library on July 25. Led by town Supervisor Judi Bosworth, Councilwoman Dina De Giorgio and Commissioner of Planning Michael Levine, the town showed a PowerPoint presentation to a packed Lapham meeting room and then answered questions from attendees left on comment cards. The area of study, explained Levine, begins at the south end of the Town Dock and runs up to but does not include Dolphin-Green Apartments. 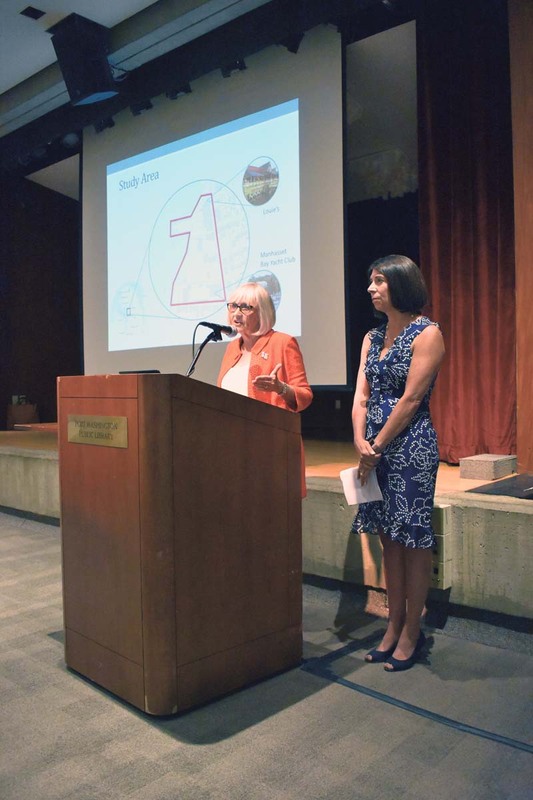 For the area of study, the town looked to other waterfront communities including Port Jefferson, Northport, Greenport and Newport, RI, for inspiration. Levine explained some of the goals and objectives of the new zoning code are an appropriate mix of land uses, a design in context with the surroundings, more efficient use of space and a balance of public interest and private property rights. In order to achieve more public access and open space, the board offered ideas including requiring a view corrdior at least 35 feet wide extending from the front property line to the water’s edge and providing a public access corridor of at least 20 feet along the shoreline to extend the baywalk through private property. In order to achieve a more appropriate use of space, the proposal included the reduction of height limits, the establishment of incentives for increasing height and an increased setback from lot-line. Proposed height regulations include limiting non-residential buildings to two stories (35 feet); for all buildings containing residential uses, no building shall exceed three stories (45 feet) for lot sizes of one and a half to three acres or four stories (55 feet) for lot sizes more than three acres. Front yard setback proposals include zero for building heights less than 30 feet and 25 feet for buildings more than 30 feet. Proposed density regulations include a one and a half acre minimum lot size for buildings with residences, a baseline density of 18 dwelling units per acre and incentives to allow up to 36 dwelling units per acre for properties that maximize open space and public access and incorporate favored architectural elements using a numerical scoring system. Also proposed were regulations for senior housing, which is presently defined in the town as housing for those of at least 62 years of age. While the zoning district also includes the Town Dock and Sunset Park, the two were not studied as they are not subject to the zoning ordinates because they are publicly owned. 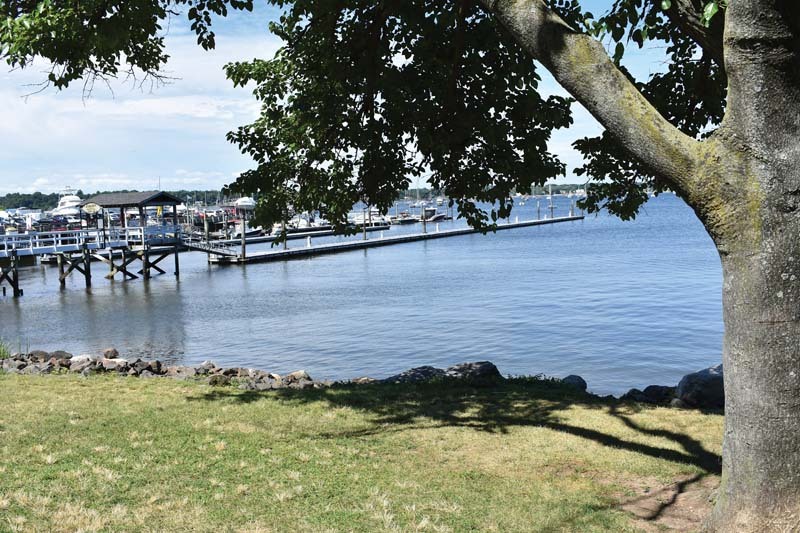 Levine said the town will be continuing the theme from the baywalk created by Port Washington North from the village line through the Town Dock, which will be undergoing a revitilization plan as part of the $1.3 million in the 2020 capital plan for construction. 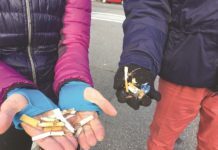 As the baywalk will run along Sunset Park, the town officials mentioned they have been in negotiations with the Port Washington Water Pollution Control District, the park’s current owners, to transfer the park to the town. 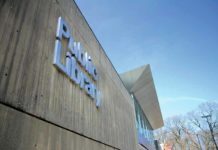 During the comment portion of the presentation, De Giorgio explained that she received many questions regarding Sunset Park and the two entities it houses—the John Philip Sousa Band Shell and Port Washington Police Activities League (PAL). De Giorgio explained that PAL has a licence agreement with the water pollution control district while the band shell has a lease agreement. 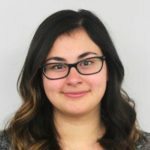 Bosworth said that once the property is owned by the town, it will need to be accessible to everyone in the town, however, discussions will occur about certain groups having preferential access to permits regarding the field. De Giorgio also explained that many of the questions voiced concerns about connectivity and recreational activities to which she and Levine explained the proposals emphasized connectivity in design. The town will hold a public hearing regarding the proposals and any changes made before the board votes on a new zoning code. For questions or comments regarding the changes, email pwwaterfront@northhempsteadny.gov.